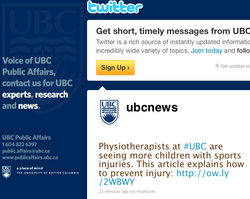 Here is a list of Twitter accounts related to UBC. Please add yours if it is missing. This page was last edited on 18 March 2019, at 22:31.